Entries categorized "MINI CATALOG: HOLIDAY"
Stampin' Up! had so many fun, new products to share that the selection could not be contained in only the main catalog and summer mini cataogs, they decided to print a small supplement. If you are interested in trying or buying these new products, please let me know! From my house to yours, Have a Happy Halloween Week! We have several fun things planned such as Trunk or Treat at church, a high school football game with more trunk or treating, a birthday party, lesson plans, and cleaning. Our weekend will be packed, and I gurantee it will be memorable! For the FIRST time, I gave Hayden permission to choose his own costume with no suggestions or interference from me. He could hardly wait to select the "Scream" black robe/white face costume. He keeps saying this will be the BEST Halloween ever--because I granted this freedom. I know I am not ready for him to grow up. It is all happening so fast, and I am trying to "Let go, and Let God" these days. The Holiday Catalog is here, and it is filled with super fun products for you to enjoy this fall and holiday season! Stampin' Up! is also offering a hostess promotion because we know you want to get together with friends again! Who can resist a FREE stamp set? This one is called "Good Greetings." Even better, the phrases cover Halloween through Valentine's Day! If you plan a party and earn $300 before tax and shipping, you will receive this awesome stamp set! The FREE STAMP FOR HSOTESS deadline is October 31. I can just see these cute little phrases cut into banners or punched shapes and attached to sweet treats for family and friends. The greetings would work great on cards too! These are super versatile! LOVE THEM! If you don't have time to host a party, take some catalogs to work or host an online workshop! Let me know what time and day will work best for you! January 2, is the final day to enjoy products from the Holiday Mini Catalog. If you saw something you really liked, be sure to grab it before it is gone! I look forward to celebrating the birth of a January baby with my friend, JoJo. Baby Blaire will be welcomed by this sweet banner I created for her baby shower. I used some retired products, but some of these are available on the Clearance Rack. You can definitely purchase the cardstock (Basic Black and Regal Rose), Silver glitter paper, and pearls from my website. CLICK HERE to purchase the supplies. I am "off work" this week. My days will be spent writing lesson plans for the new year, but I have made two stamp dates with friends. I challenge you to make time to do what you love to start the new year! "THIN DOWN" before school starts--THINLETS die cut style! The main shape in the cards (circle and label) can work with a lot of our stamp images so you can create tons of different kinds of cards using many different stamp sets. CLICK HERE for a link to a THINLETS VIDEO. The Holiday Catalog is here! You can order TODAY! I was SO EXCITED to see the Holiday Catalog because it is so different from past issues. First, the entire first part includes only creative samples and inspiration. The back part is condensed and gives product information and pricing. As I browsed the pages, I filled an entire page of MUST HAVE'S! When you are placing an order in my Online Store, please make sure you see my name in the upper right hand corner of your screen. If my name isn't there, you are ordering from another demonstrator or from Stampin' Up! There have been some glitches lately, so you may start with me and end the order with another source. Show me the love and make sure we remain together throughout your entire order. Let me show you how the NEW 2013 Holiday Catalog can come to life for you with a fun interactive app. 1. Go to the App Store or Google Play and download and install the FREE Layar app to your smartphone or tablet. 2. Scan images that are tagged with the Stampin' Up! interactive icon to unlock videos. * Different mobile devices will work differently with the Layar app. Some are faster than others. Some will require more steps to load the videos. etc. *You need to hold your mobile device over the page until the video loads. Be patient-the video might take a while to load, depending on your device. *From the video, you can go directly to the online store where you can buy product immediately, and you can share your favorite products on social media. I hope you enjoy shopping as much as I do! I see some fabulous projects and gifts in your future! Day 2 began with an General Session packed full of thank yous, new product announcements, presentations, and inspiration. We were reminded that stamping and living a creative life makes a big difference in our lives and the way we touch others. Shelli Gardner shared a few project samples, and the new products will be announced by Stampin' Up! later. Below are some samples of the much more than 25 project demonstrations we enjoyed during the Main Stage/General Session time together. Another presenter was Shannon West, and she presented ideas using the personalized stamp sets. I have been saying for years, "These are not just for names and addresses." They are great for quotes, special dates, announcements, teacher notes, poems, check deposit stamps, thank you from PTO, and much more! Here are a couple of sample stamps she shared. Shannon also had the pleasure of revealing the UNDEFINED product line! She demonstrated how to carve the stamps using the tools included in the box. Refills are available at a better price because you will not need new tools when you design more stamp sets.Here are some photos from her presentation. I also included a final photo of the stamps carved by demonstrators later during our "Expo" event. This stamp was inspired by a photo of Shelli Gardner from 1988, when she started Stampin' Up! The possibilities are endless for the designs, images, shapes, logos, and photos you can create! This was our presenter, Shannon West. The remainder of our daytime activites was spent with make n takes, mini classes, Demonstrator Theater, resources, and information. My favorite part of the afternoon was the Demonstrator Theater. Here are a few pictures from that time. I couldn't leave for the day until I posed for a picture with some of my Colorado Springs demonstrator friends. This was a fabulous day! I know the post was LONG, so I broke it up into two posts. I will share more on the Day 2 experience in another blog entry. When I returned from the final day of an intense ELA Common Core training, I was thrilled to see this recruiting special offered by Stampin' Up! How does FREE PRODUCT and FREE SHIPPING sound to you??? Want to know more? I hope so! When you purchase the Stampin' Up! $99 Starter Kit between July 15-August 31, 2013, new demonstrators will receive their choice of one FREE Stampin' Up! project kit. (You can choose one from four kit options. The first three project kits are featured in the Holiday Catalog, so you will receive them FREE and EARLY!!! Wait, there is MORE!! With the $99 Starter Kit, you will receive a free project kit, $125 worth of products--YOUR CHOICE...totally customizable! The kit ships FREE, so there is another 10% savings for you to enjoy! Fill your Wish List and buy holiday gifts for your friends because your first demonstrator order of $150 or more (before tax and shipping) will be 30% off the first order. You would also qualify for hostess rewards, but this option must be redeemed within 45 days of becoming a demonstrator. Enjoy 20% off --or more-- as a demonstrator. Imagine being able to pre-order new products one month in advance of catalog releases! You can order anything from the Holiday Catalog immediately, as a demonstrator. Don't want to hold parties or sell to your friends?? NO PROBLEM! You can simply join for fun, discounts, sneak peeks, friendship, and free training! There is no obligation to sell the product, and you can keep all the contents of the kit. At a minimum, enjoy demonstrator discounts and benefits for three months, through January 31, 2014. If you have $300 in sales or purchases by that time, your benefits renew automatically through March 31, 2014. The renewals continue if you reach $300 each quarter. Remember, Stampin' Up! has something for everyone! Digital papercrafting is great for people who are computer savvy, want to finish projects quickly, and may not have the space for supplies. The My Digital Studio Program puts all the Stampin' Up! 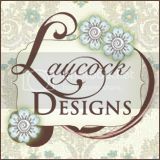 products at your fingertips, and most images can be edited to any color combination Stampin' Up! offers! Paper Pumpkin kits are great for people who love a fun surprise in the mail, cute packaging, and fast and easy projects with supplies included (except adhesive). Giving this subscription as a Christmas gift to five people on your list (including you) would take care of the $300 minimums required to remain an active demonstrator. Don't want to spend the money for minimums, no problem. You can just enjoy the products you received, or you can ask some friends to stamp with you each month. Invite 3 friends to spend $25 a month with your order, and you have met the minimums. Invite 2 more friends, and you have a club or party! CLICK HERE to see the "Pick a FREE Project Kit" special and more details. I would love to answer any questions you may have or just chat! Christmas Eve continued with a late invitation to exchange gifts and bake cookies for Santa with our favorite Robinson twins! Honey, Hayden, and I joined Preston, Marshall, Jennifer, Lois, and Joe for a few fun moments. The twins are sure to enjoy the inflatable boxing gloves, fish scale, and fishing lure hook we gave them. We thought the boxing gloves would come in handy if they get a bad case of "cabin fever" with the forecasted snow this year. We look forward to joining them for special fishing trips this spring and summer! Movie passes from Joe and Lois were greatly appreciated! Hayden and I will schedule a trip to the movies next week as we enjoy our final few days of winter break. Our other gifts were wonderful too!! THANKS SO MUCH!!! The boys were sweet to share their brand new I-pads with Hayden. The boys remained happy and fun the entire evening. What a great memory! I must take a moment to thank my friend, Kimberly VanDiepen, for her inspiration to scrapbook these special holiday memories NOW. My Digital Studio makes scrapbooking so fast and easy, and I will finish our 2012 book very soon. I appreciate not having to print photos, choose paper, and grab my stamps, punches, and Big Shot. The computer and this amazing program give me all the embellishments I love....right at my fingertips...no need to leave my seat! I will call Christmas Eve scrapbook memories ALMOST done...one final page to go! 12 Days of Christmas---Stampin' Up! Style! Stampin' Up! is always making time for friends and fun! They love to entertain, delight, and excite! I was definitely entertained when I watched this video. Check it out! How about some excitement? You will be delighted and SUPER excited when you see the BRAND NEW Spring Catalog and Sale-A-Bration brochure! be sure to save any Christmas money you receive this year! With each $50 you spend during Sale-A-Bration, you can earn FREE products!!! Me, Me, Me!!! Make Some ME Time! Making time to create handmade gifts has been a challenge, but I am always happy with the results of my commitment. Give me some cardstock, a die cut machine and accessories, and adhesive; and watch me go! My day improves instantly! Why do I feel guilty for scheduling creative time? Can grading papers, writing lesson plans, analyzing student test data, planning a field trip, organzing a D.A.R.E. graduation, playing Secret Santa, editing student essays, and wrapping gifts wait for an hour? YES!!! I need "ME" time!!! These ornaments are my most recent projects. I designed several of these treats to thank recent customers, co-workers, and neighbors for their constant support and friendship. These personalized keepsakes were quick and easy to create. I set up an assembly line and designed 10 in no time at all! Supplies include Real Red and Very Vanilla cardstock, Big Shot Elegant Bird Bigz, Oval Accents Bigz Clear, Lacy Brocade Embossing Folder, Snow Flurry Bigz die, Vintage Brads, Silver Glimmer paper, and Rhinestone Basic Jewels. CLICK HERE to order any of the supplies 24/7! Thanks to a "Parents Night Out" event this weekend, I will have even more time to create! Check back soon to see the results of my creative break time....a special gift, just for me!